“But I'm not going to get into this business of generalizing against law enforcement officers. It's not right,” he continued. His comments Friday came one day after Sen. Rand Paul, another potential presidential candidate, said the police response to the racially-charged street protests in Ferguson, Missouri, following the shooting of an unarmed black teenager by a white police officer was an example of how law enforcement has become too militarized. In an opinion piece for Time, the Kentucky Republican wrote that there “should be a difference between a police response and a military response." While Paul labeled racial tension a crucial element to the recent unrest, Christie, a former U.S. attorney, did not go that far. 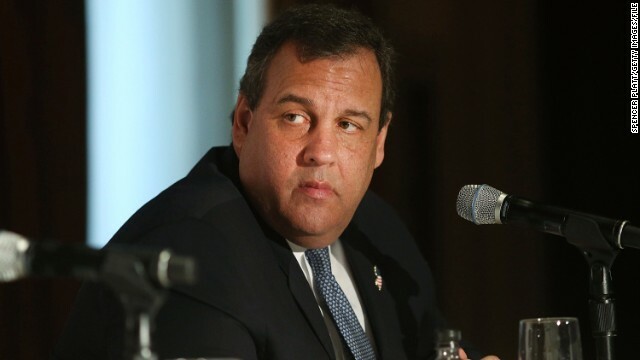 “I think it's very dangerous to make generalizations about anybody like that,” Christie said, referring to the reporter’s question about the relationship between police and African Americans. The governor made his comments in a press conference in Asbury Park, New Jersey. Did the police say he emptied his weapon? I see racists everywhere. They are everywhere I tell you. Please help me! @Rudy- The point is maybe instead of taking some of these eyewitnesses word as the solid truth maybe its time to let the real facts come out. news networks. Why you keep throwing that out there is anyones guess. Eyewitnesses reported that he fired at the fleeing young man. Do you think it is possible that he was hit elsewhere, or was even missed? it is with the vague account given by the now dismissed police chief. but ignored his later remark that the robbery and the shooting were unrelated. Go ahead, watch him tonight lie through omission for yourself. I will. Keep one eyeball on the news ticker, too. When it contradicts him they just stop running those stories until the show is over, and then they resume running them. Yeah, smith. I'll stick my neck out and accuse the disgraced police chief of being a conservative. His actions have been inflammatory. That's right. Have 1,000 of your best neo-confederate buddies show up to point guns at the Bureau of Land Management and it was clearly the BLM's overreaction and "fascist, police state overreach" at fault and oh what a horrible gov't. Turn around with your hands up while being a black teenager and clearly 6 or more shots are required to make sure you do no turning around with your hands up ever again....and the MSM and RWNJ conservative white fright race resentment factory will immediately begin churning out excuses for the police and making the entire incident an opportunity to go on long-winded rants condemning the victim and the entire black community, etc. When did jaywalking become probable cause for the use of deadly force? I really hope Brown's friend that was there is not anywhere being detained or badgered by police. ( _Punk, if you tell the truth about this, we'll destroy your family_ ). No, it isn't just cops harassing young black men, and to target just on that, ignores a *LOT* of police aggression towards anyone they think is weak, including retired, leukemic stroke and cancer patients, weven white men. That is wise. I doubt seriously the witnesses thus far. Brown just robbed a store and one of the main witnesses was with him when he did it. It would be interesting to see why the policeman used a gun instead of other non-lethal means even though he was 6'4" 300lbs. I guess we will find out if the officer murdered someone or if its just another disgruntled and drugged black criminal. Statistics lean heavily in favor of the policeman. More looting and vandalizing will surely follow. Now, which one was armed and made threats to the police while having a few hundrewd of his closest neo-confederate secessionist states-righter bircher pals point guns at the Bureau of Land Management while promising to use women and children as shields? @Ol`Yeller-Are you really comparing a protest that had no violence,no acts of looting, and no acts of arson to a protest that had those three elements? Talk about a false comparison. Btw, I think Bundy was in the wrong and is a racist puke.